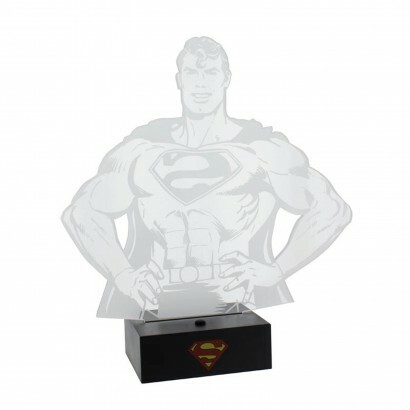 Standing strong with the iconic "S" shining from his chest, Superman makes a captivating night light. 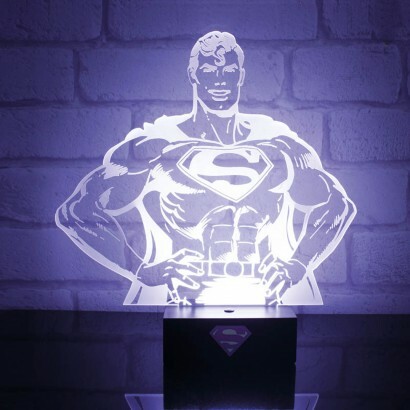 Lit by a bright white LED the etched acrylic superhero shines bright, each detail highlighted in white to create an impressive portrait of the most super of superheroes. 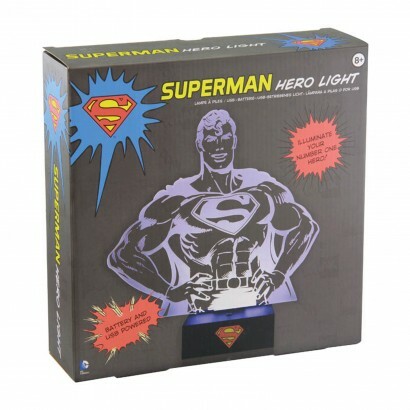 Powered by battery, or by micro USB, this hero light can be placed anywhere in your home bringing comic book cool and a bright white glow.